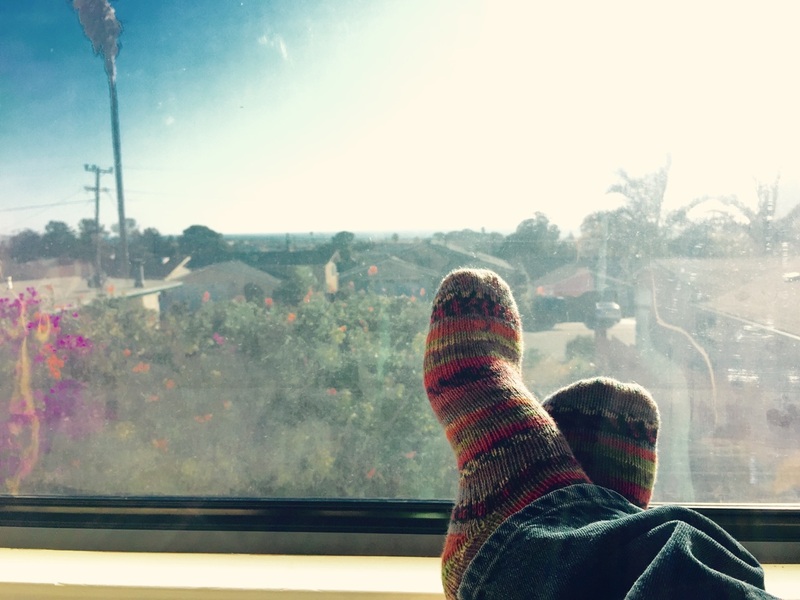 A fellow blogger asked about my sock pattern, so here it is. First of all, I use a long circular needle (approximately 32.5″ from tip to tip) and the Magic Loop Method to knit in the round. It also helps to have a cardboard template of the sock recipient’s foot. To begin, I use Judy’s Magic Cast-On and cast on 10, 12, or 14 stitches on each needle, depending on the thickness of the yarn and the size of the sock I want to make. 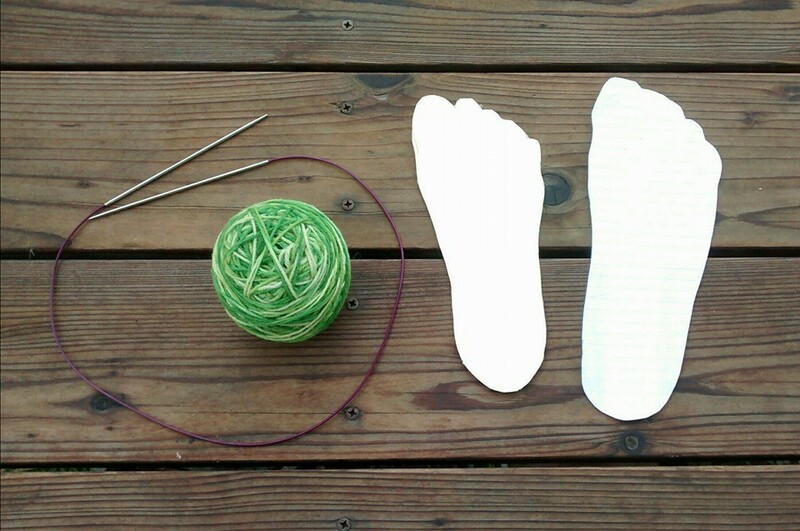 I wear a US size 8.5 shoe, so I usually cast 12 stitches on each needle for my own foot. Next, I knit across the stitches on each needle once. Round 2: Needle 1: K1, M1, knit until the last 2 stitches, M1, K1. 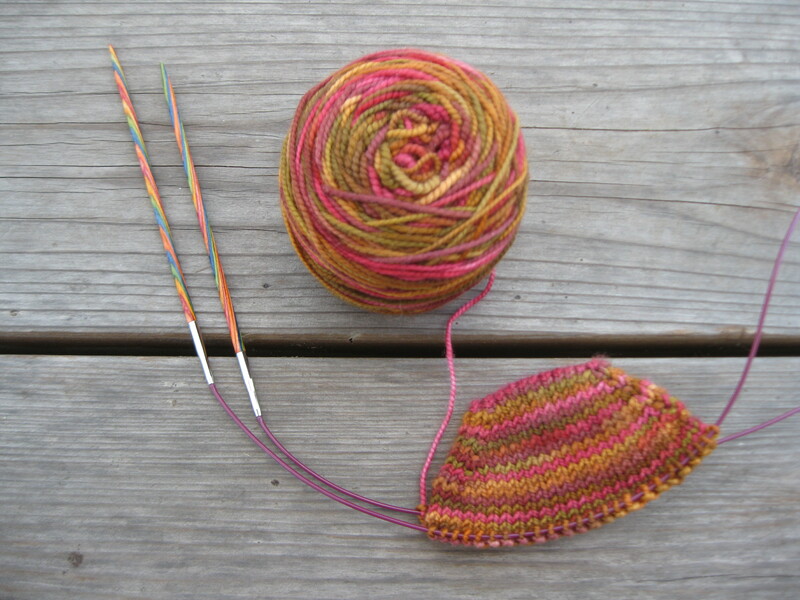 Needle 2: K1, M1, knit until the last 2 stitches, M1, K1. 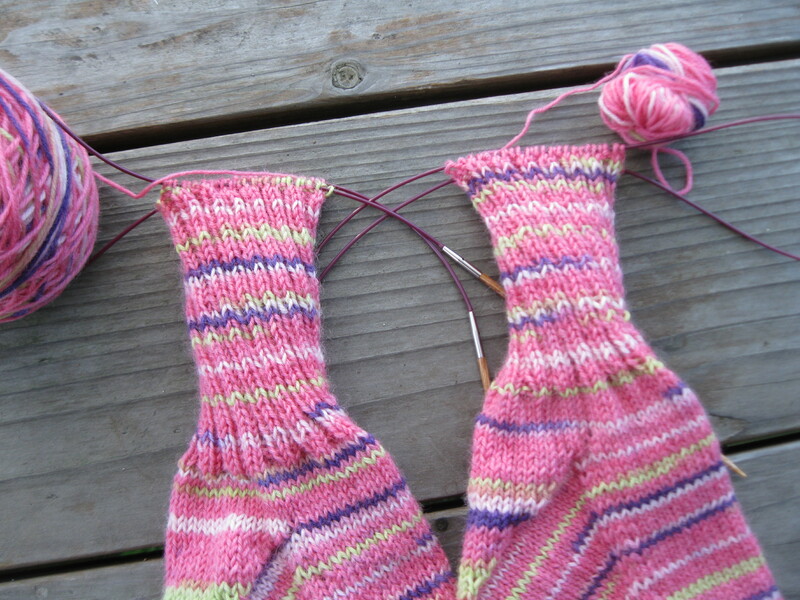 Round 3: Knit across both needles without increasing. Repeat Round 2 and 3 until you have a total of 24, 28, 32, or 36 stitches on each needle, depending on how wide you want the sock to be and keeping in mind how much the yarn will stretch. If the sock is for my mom’s kid-size feet, I stop at 24 stitches on each needle. If the sock is for me, I might stop at 24 or 28. Again, it really depends on how wide I want the sock to be. 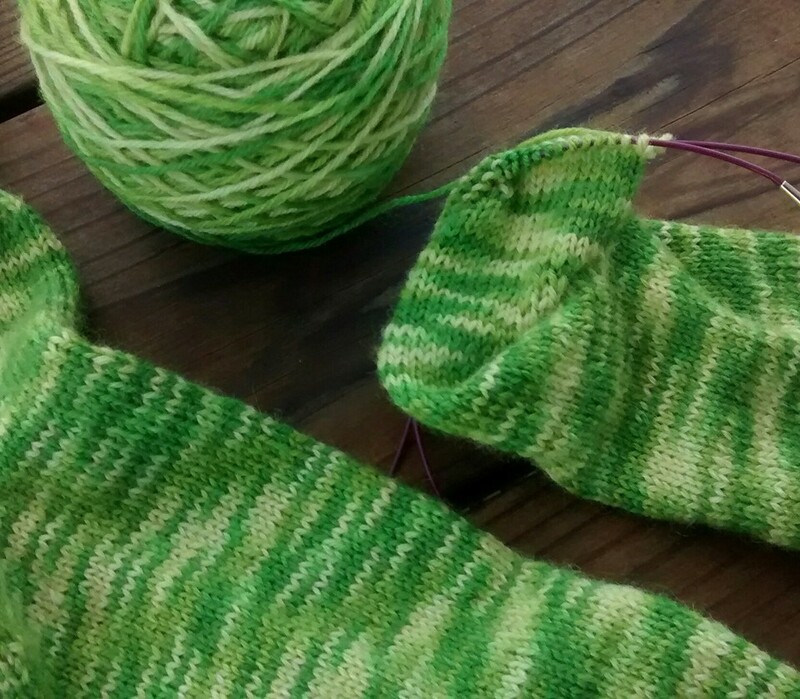 Once I’ve determined that I’ve got enough stitches, I stop increasing and start knitting in the round to work the foot of the sock. You can have the recipient try it on for size. Or you can use your cardboard template. 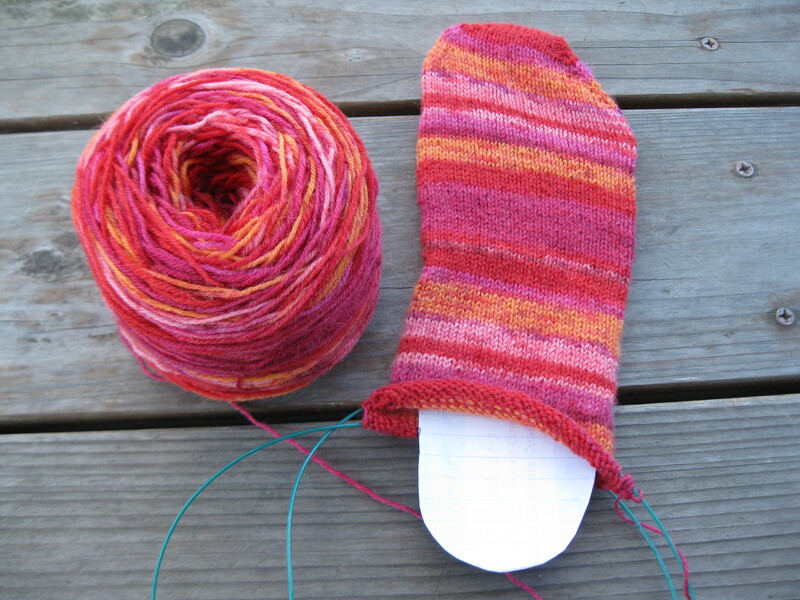 I follow the directions, finish the heel, and then start knitting the cuff. Usually, I’ll knit 2, purl 2, and repeat for ribbing. I prefer my socks to be crew length, so I just keep knitting until I think it’s time to bind off. And that’s it! Hopefully I’ve explained it fairly clearly. Let me know if I need to clarify anything. P.S. 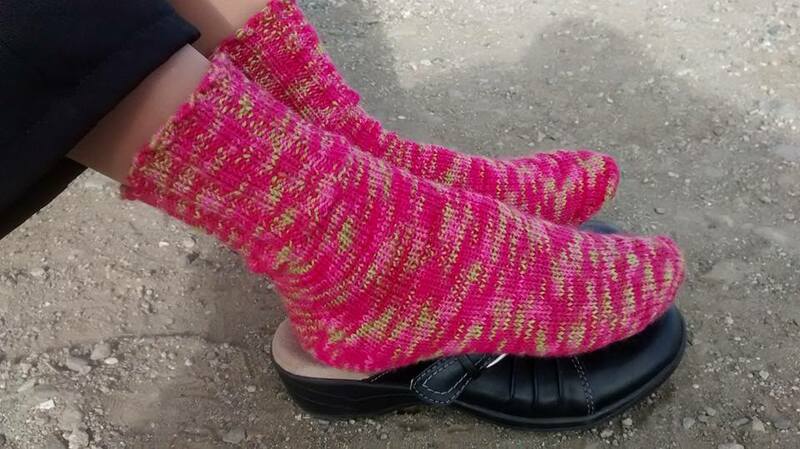 Amazingly, all these photos are from different pairs of socks that I knit this year. I guess I need to go update my completed projects page. 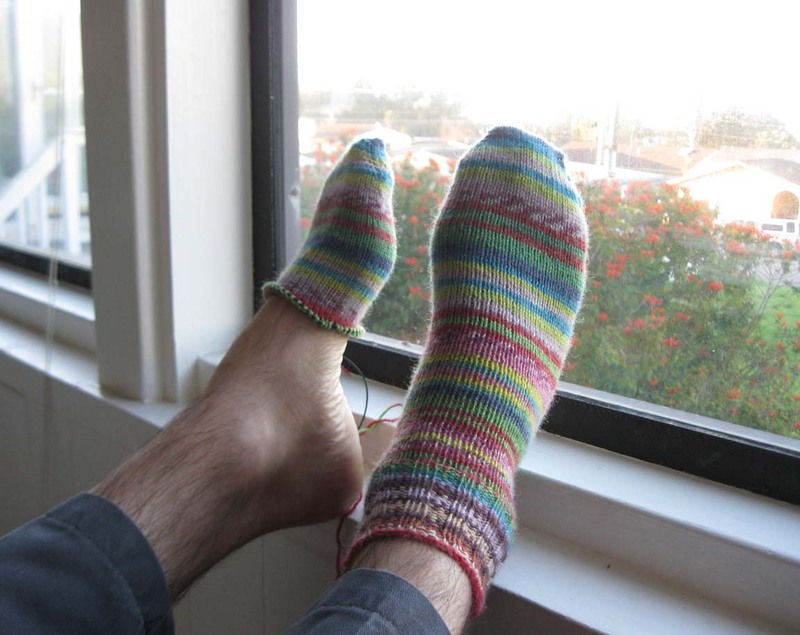 Categories: Handmade | Tags: knitting, sock pattern, socks | Permalink. 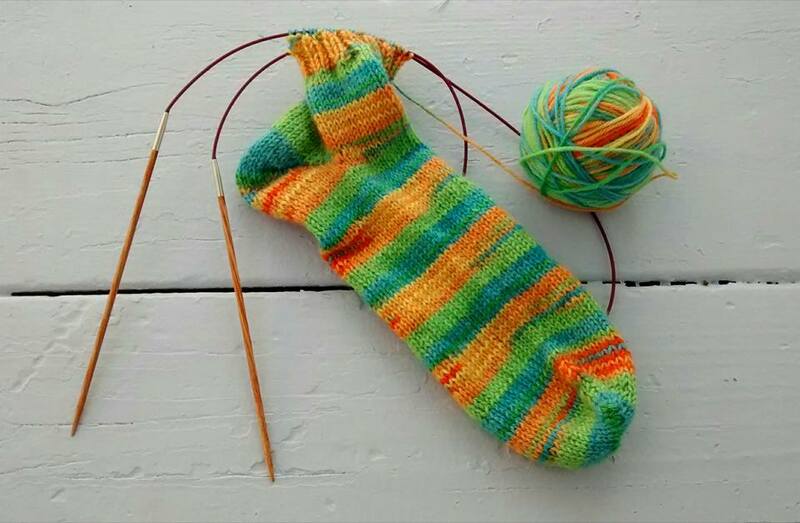 I have always been intimidated by that way of knitting socks… The cast on, the magic loop, the fish lips kiss heel…. It sounds very complicated…. But now with your explanations, I ll give it a go …. That’s great! It occurred to me that I could do further blog posts with more photos showing step by step details on the magic loop, the cast on, and the kiss heel. If I have time this weekend, I may do that. That would be very helpful, thank you… Because when you read it it doesn’t always make sense 🙂 but when you see it then you get it! 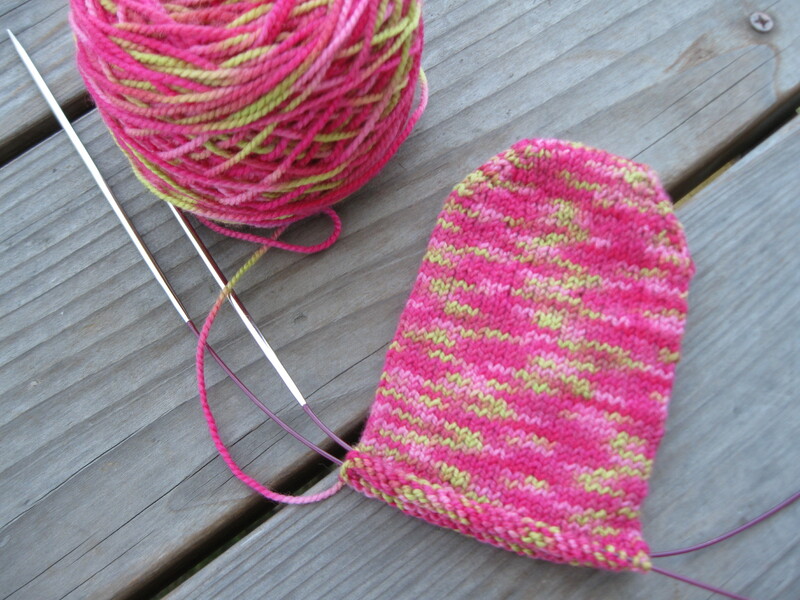 I’ve just posted photos of my sock in progress using the Magic Loop method. It’s today’s blog entry. Hope you find it helpful! yes! Brilliant! thank you very much! It usually takes me between 8 to 10 hours to finish one sock, depending on the size of the sock. Also, I knit in the Continental style, which I think makes for faster knitting.